Renin, also known as angiotensinogenase, is an enzyme that participates in the body's renin-angiotensin system (RAS) that mediates extracellular volume (i.e., that of the blood plasma, lymph and interstitial fluid), and arterial vasoconstriction. Thus, it regulates the body's mean arterial blood pressure. Renin - What is Renin? The kidney is an organ not only for excreting body waste by urine but also for maintaining body homeostasis in close cooperation with other organs. Resistant hypertension affects 12 percent to15 percent of patients treated for high blood pressure according to a new scientific statement from the American Heart Association. Data from the TRANSITION study presented today at the European Society of Cardiology Congress in Munich, Germany has shown that Entresto® can be initiated early and safely in a wide range of heart failure patients with reduced ejection fraction who have been stabilized after hospitalization due to an acute heart failure episode. An experimental compound appears to improve stroke outcome by reducing the destructive inflammation that can continue months after a stroke, scientists report. Why does drinking alcohol or consuming sugar make us thirsty? An international study of mice in Texas and humans in Europe reveals an unexpected anti-dehydration mechanism. Genes encode proteins and proteins dictate cell function. Therefore, the thousands of genes expressed in a cell determine what that cell can do. In just four months, high-doses of vitamin D reduce arterial stiffness in young, overweight/obese, vitamin-deficient, but otherwise still healthy African-Americans, researchers say. 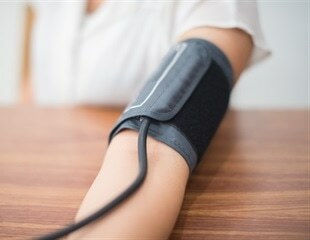 Aggressive combination treatments for high blood pressure that are intended to protect the kidneys may actually be damaging the organs, new research from the University of Virginia School of Medicine suggests. Using two simple blood tests, Western University researchers were able to drastically improve treatment for resistant hypertension across three sites in Nigeria, Kenya and South Africa. Scientists have developed a new RNA interference therapeutic agent that safely blocked ocular inflammation in mice, potentially making it a new treatment for human uveitis and diabetic retinopathy. The academic partners in the VerICiguaT GlObal Study in Subjects with Heart Failure with Reduced EjectIon FrAction are pleased to announce that patient enrollment has begun. Among U.S. adults with diabetes from 1988 to 2014, the overall prevalence of diabetic kidney disease did not change significantly, while the prevalence of albuminuria declined and the prevalence of reduced estimated glomerular filtration rate increased, according to a study appearing in the August 9 issue of JAMA. DRG International, a leading international medical diagnostic company, will showcase its DRG Aldosterone ELISA Kit at the 2016 AACC in Philadelphia, Pennsylvania on August 02-04.